Home » BE A SOPHIE or a ‘MAZ’ FOR QT IN 2020! Amazing how far QT fundraisers will stretch their limits to secure Kabubbu Kids a transformed future. ‘Team MAZ’ consists of Matt, Allison and Zoe! 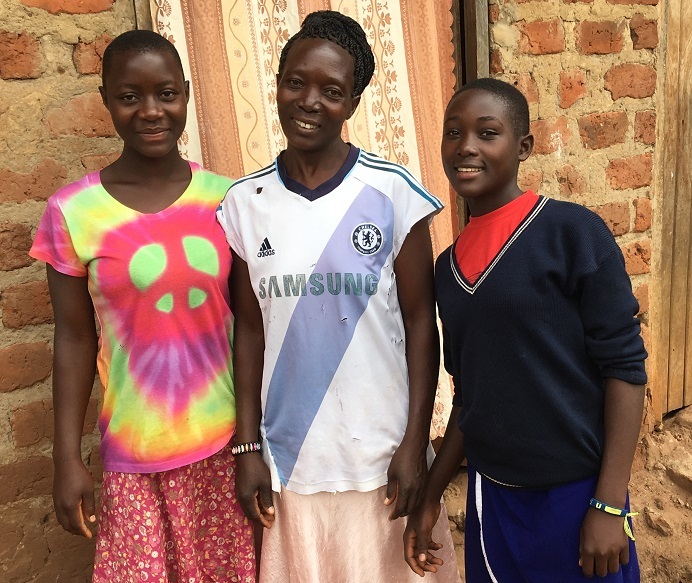 This family fundraising will secure Sarah’s family a new roof over their head – they currently all live in one room. A gift from a UK family to a Ugandan family that goes beyond their usual monthly partnership giving. Matt is running the extreme challenge of 106km around the Isle of Wight – in 16 hours. Ouch! Allison is walking 100 Km along the South Downs in 24 hours. Ouch, ouch! Zoe is selling her clothes. Ouch, ouch, OUCH!! Thank you to all our fundraisers for offering this tremendous level of commitment. We’re excited! Please encourage them with a donation now. p.s. please remember to Gift Aid your donation if you’re eligible. You’ll be keeping our tiny Sussex office afloat!